These are some of our most innovative products. I’ve selected three of them to show you how versatile they can be. The usual way of creating channels with cobbles is to lay them at an angle. This creates unsightly edges and an unstable installation. Transition Cobbles made with our moulds overcome these problems. 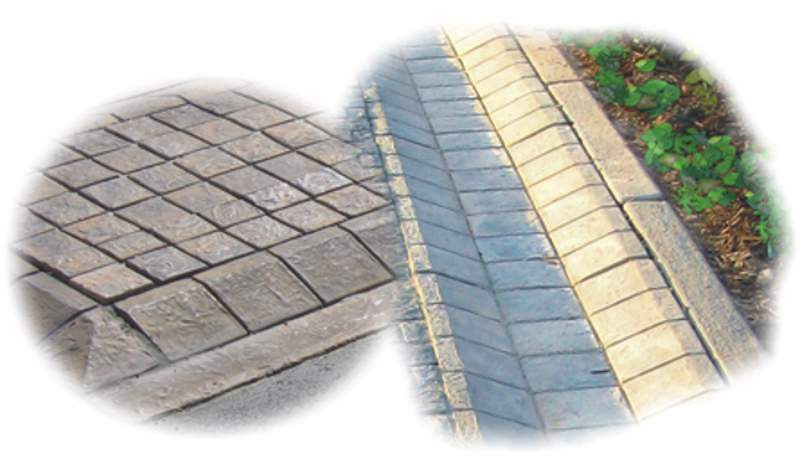 Note how the same Transition Cobbles modules can also be used to create a ramp-up edge. Corner modules are available in both proud and recessed versions. Embedded along the outer edge of the Transition Cobbles are Step-Kerb-‘n-Edge-modules, which provide additional neatness and stability. Read more about this family of products below. 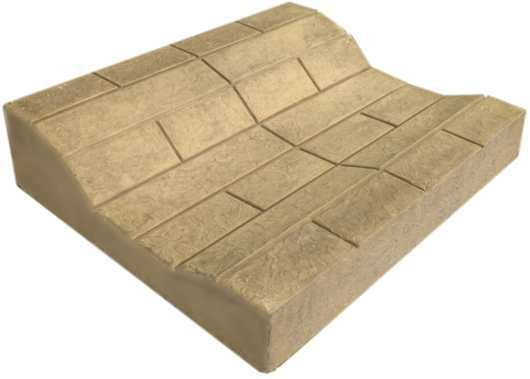 Available in a variety of widths and depths, with or without spacers, the Step-Kerb-‘n-Edge is a uniquely versatile product with applications in both rustic domestic and formal urban architecture. Flowerbeds, road edges, indoor and outdoor stairs are all enhanced by this functional aesthetic product. Note how the one side of the channel is higher than other, eliminating the need for an additional kerb edge. This all-in-one approach makes installations quicker, neater and less time-consuming. Moulds for this Channel Kerb incorporate brick-like patterning which is modular to some of our standard products. Plain moulds are available too, in a variety of Surface Textures. Maybe we already have a mould for something you have in mind. Or maybe we can make it just for you.